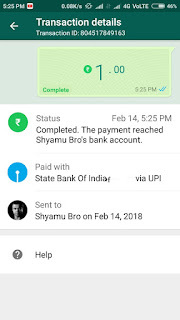 Activate Whatsapp Payments Feature:- As we all are aware of this that WhatsApp soon going to launch its Payments Facilities like hike, Truecaller and PayTm and naming it "Whatsapp Payment" to encourage the Digital payments in India. WhatsApp has been experimenting with of UPI-Based Digital Payments service for a long time after enabling the feature of WhatsApp Calling. Now, this WhatsApp Pay or "WhatsApp Payment feature" is a User to User payment gateway which has been rolled out for some beta testers of WhatsApp Users. In which there is an option named "Payments" in the Settings menu. 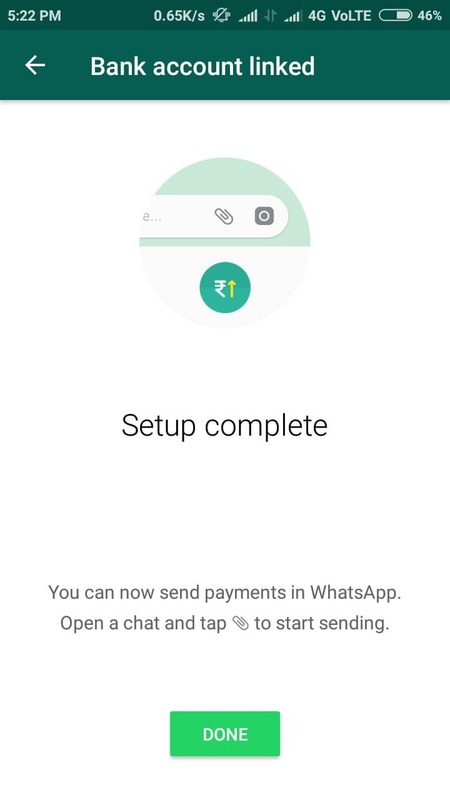 WhatsApp Beta Users have encountered this while attaching the files (Images, Locations, Documents etc) during their conversations and noticed that "Payments" option has been popped-up from there. To get invite for WhatsApp Payments Feature you can follow the below steps. What is WhatsApp Pay or WhatsApp Payments Feature? 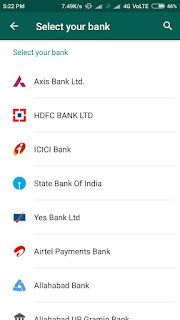 WhatsApp Pay or WhatsApp Payments Invite is a facility to send the money using the UPI based feature directly to respective bank account accounts which are connected to that particular number. 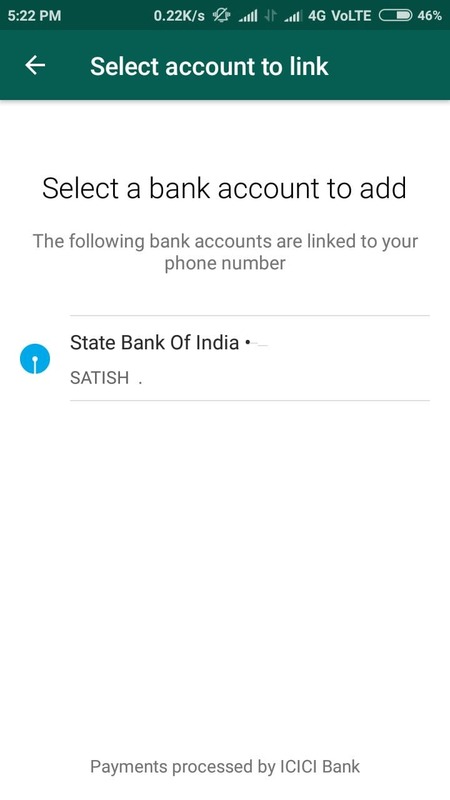 Which is registered in the bank account and the same number is being used on the WhatsApp. As we know that India is trying to facilitate their digital payments and now WhatsApp is providing their UPI-based payments services to India. How To Activate Whatsapp Payments Feature on Your Android & iOS? To get this feature activated on your WhatsApp you need to have the latest update of WhatsApp and you should have the WhatsApp Invite link/Invitation. Means you need to ask someone to give the Invitation for WhatsApp Payments. WhatsApp has already rolled out this features for some beta users and now they have closed their beta tester program on Play Store so you can't easily enroll yourself to Beta Tester to get the beta version of WhatsApp and Payments option as well for your WhatsApp. However, this is the same feature like they have done with WhatsApp Calling Feature. In that, they have initiated the invite system that allowed users to activate the WhatsApp Calling Feature. Now in WhatsApp Payments Feature you can do the same. If you haven't got the WhatsApp Pay or WhatsApp Payments Feature then you have to get the invitation from those users who have already got this WhatsApp Payments Feature. After getting invited you'll get the option of WhatsApp Payments Feature. 1. First of All, Make sure that your WhatsApp is of latest Stable Version. You can check it via going to three dots option and then settings and then Help and finally, there will be App info. There you can the Version details of WhatsApp app. Recommend stable should be 2.18.46 or above. 2. After that, you have to ask someone who has already got the WhatsApp Payments Feature on their WhatsApp. Ask them to invite you for the same. Remember that they need not send any money while inviting. Just ask them to invite for enabling this feature for your WhatsApp. 4. Once the WhatsApp Payments request has been done, then the WhatsApp Payments Feature will be automatically enabled. You can check the same in attachment menu option and a new Payments option in Settings. After this go to the Payments option and Verify you Number and Create your UPI (if you haven't created before). Now you are all ready to send the Payments to your another WhatsApp members who have already activated the same process or created the UPI on WhatsApp. 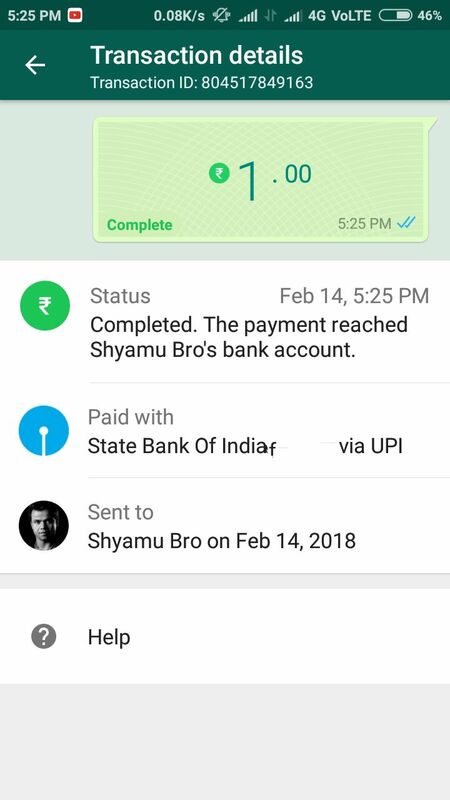 WhatsApp Payments Page can also show the history of your recent payments activities. Now after getting "Invite for WhatsApp Payments Option". After this, you have to setup your WhatsApp Number for UPI Payments. For this, you have to use the same number which you are currently using for your WhatsApp. That same number should be also linked with any of your Bank Accounts. After this follow the below steps as you have been already got the "invite for Whatsapp Payments" by clicking the above flashing link. 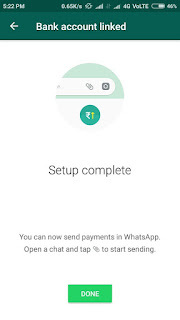 Now just follow the step by step guide to set up your WhatsApp UPI Payments Feature to send and receive money directly through your WhatsApp. 1. First of all, go to the Settings option of WhatsApp and Select "Payments" option. 2. After this Verify Your Number. 3. Now in next step Select your Bank account that is attached to the Number. 4. Select the Bank account to be added. 5. After this complete the set up of Bank Linking. 6. Now after this Set Up of your Bank Account will be done. 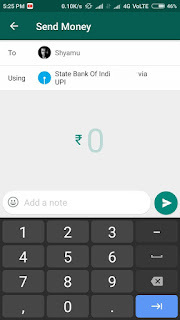 How To Send and Receive Money Using WhatsApp UPI Payments Features? After linking your Bank account now you must be wondering how you can send and receive money through WhatsApp UPI Payments Features? So first you have to go to that Chat or Person's Chat to whom you want to send Money. After that Click on Attachment Menu option and then select Payments option and fill the desired amount, how much do you want to send. After that complete your transactions. 1. Open the Chat of that Person to whom you want to send money. 2. After that Enter the amount. 3. Now after that entering your amount, enter your UPI Pin and complete your transactions. 4. Done! Now you have sent the money successfully. 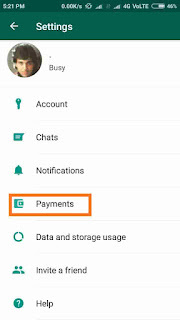 How To Invite Others For WhatsApp Payments Feature? After getting the invitation for yourself of WhatsApp Payments Feature. Now, how you can Invite others for this WhatsApp Payments Feature? So you have to follow the steps below to invite others if you want to enable the WhatsApp Payments Option for their WhatsApp then you can do so by just going to the Chat Option of the particular contact to whom you want to "Invite for WhatsApp Payments feature". In order to exchange the payments. Just tap on the Attachment Menu and Payments Option will Pop-up and it'll say like this "To Receive Payments Subject needs to Set Up Payments in WhatsApp by tapping Settings>Payments". First of All, you need to Properly Set Up your Account on WhatsApp Payments. Now go to the Chat Option of that Person to whom you want to Invite for WhatsApp Payments. After this Click on Attachment Menu. As soon as you click on Attachment Menu. You'll see "Payments" option. Click on the Payments Option a pop up will arise and the particular user will be invited for Whatsapp Payments Features. That's it! 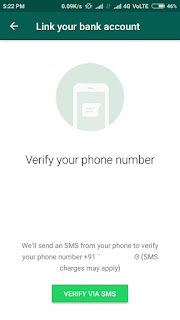 Using these steps you can invite any other users for WhatsApp Payments Feature. *Can I Invite others for WhatsApp Payments? - Yes! You can invite others if you have successfully setup WhatsApp Payments for your WhatsApp Number or you can say WhatsApp Account on your Android or iOS devices. *Can anyone get this WhatsApp Payment Invite other than Indian WhatsApp Users? - We are not sure about this. As we are getting the Invite Request for WhatsApp Payments from Pakistan, Nigeria and even from the USA. But we are unable to invite them for WhatsApp Payments. * Is WhatsApp Payment Invite available for WhatsApp Business Account? - No ! Till now there isn't any way to invite WhatsApp Business Account Holders to get this WhatsApp Payments Feature. * Can we Send or Request money on WhatsApp? If we are having WhatsApp Payments Feature Enabled on our Number? - Yes! You can easily Send or Request money to those users who are not having this WhatsApp Payments Feature Enabled on their Numbers. 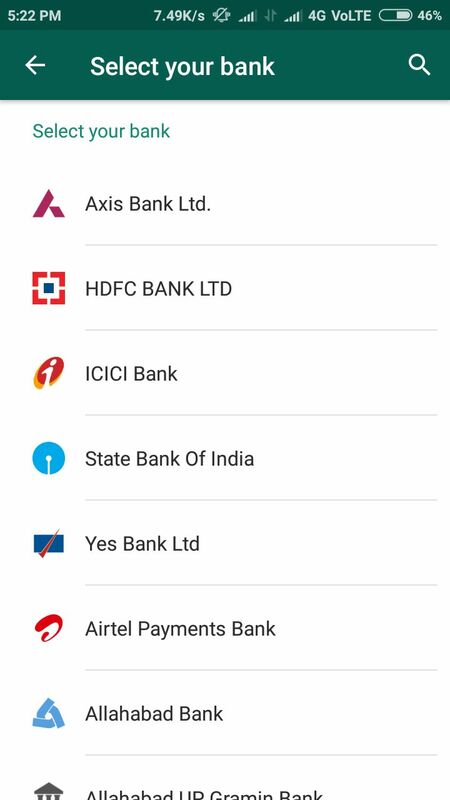 But you can use their UPI (@upi) ID or you can Scan their Bhim/ Paytm QR code to Pay them or Request money from them. * How To Receive Payments with WhatsApp? 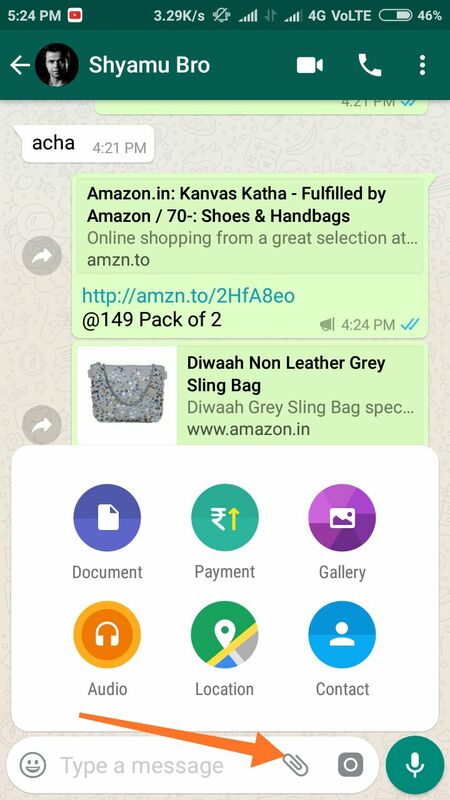 You can easily receive payments with WhatsApp. 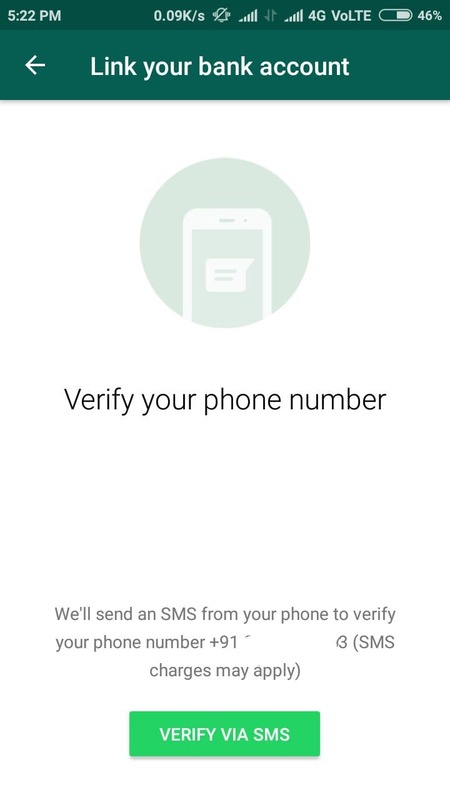 You just have to setup WhatsApp Payments Feature for your WhatsApp Number and have to verify your number that is registered with your bank account. 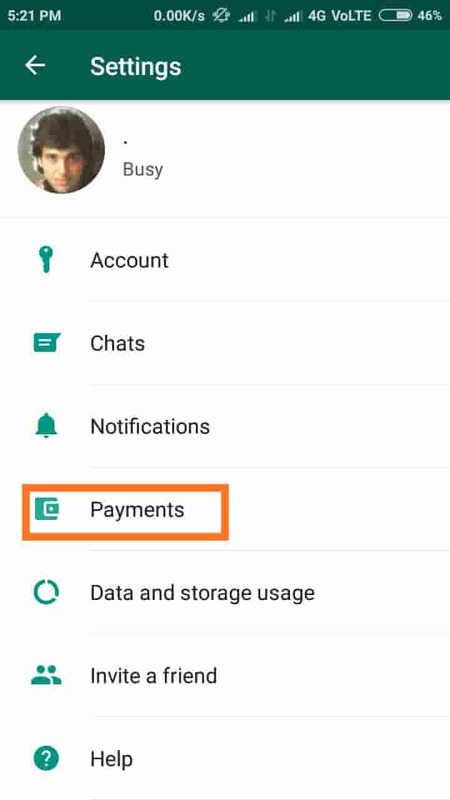 After that, you can easily "receive payments with Whatsapp". So this was the way of activating the WhatsApp Payments Feature for your WhatsApp. Soon it is going to update in the upcoming version of WhatsApp. But still, you are eager to get it instantly then you can follow the above process to get the WhatsApp Pay or WhatsApp Payments Feature in your WhatsApp. any one got the feature?? Check the post properly... !!! Please send me the invitation link via whatsapp. This is very very good post to enable whatsapp payment feature. Thanks a lot. Fast and easy request accepted. I didn't know anyone who had this feature. It would have been so difficult to find someone. But this post just made it simple! Thanks Admin. Thank you for the feature update. Appreciated. 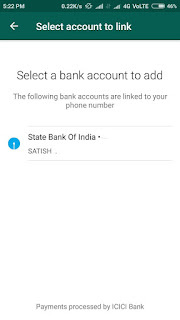 my mobile number is 9789755935. can anyone help me to get this feature??? Good info on the WhatsApp Payments feature. Would love to try it. Thanks for the invite. Received as soon as I asked for it. Thank u so much sir. I got the payment feature.. keep up the good help like this.. Thanks for the invite sir. Thanks for the whatsapp payment invite! That wascawesome! Thanks to author of this blog who sent me whatsapp invite link to have payment feature in my whatsapp account. Thank you very much. Thanks to author of this blog who instantly replied to my request and instantly sent me whatsapp invite link for having payment feature in my whatsapp account. Thank you very much.